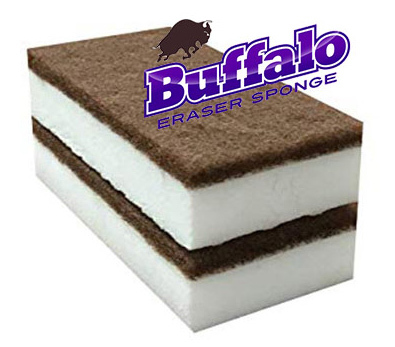 Buffalo Eraser Sponge successfully removes virtually all the toughest household stains and grime without harsh chemicals! 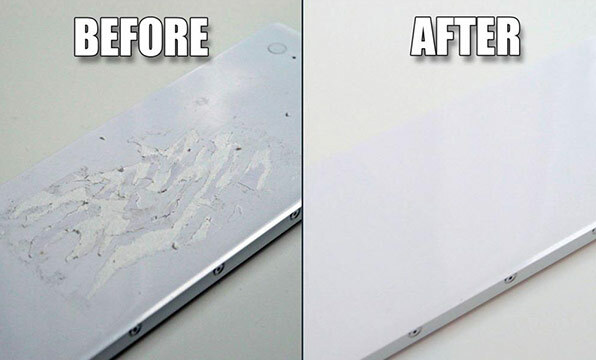 This powerful stain removing cleaning product works with JUST water which makes it quick and easy to use. No fancy soaps or harsh chemicals needed! 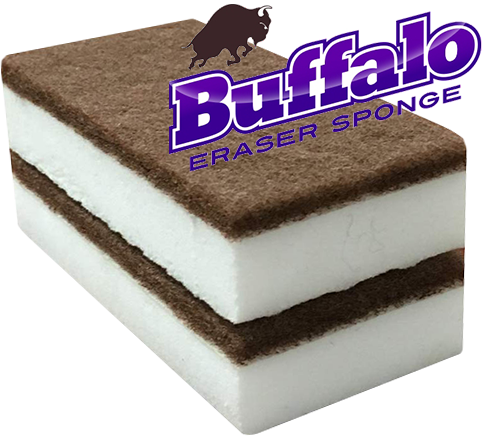 The Buffalo Eraser Sponge combines the cleaning power of melamine foam and the abilities of nylon scrubbers to create a powerful and long lasting cleaning device. The nylon keeps the melamine from tearing apart, which allows for extended use.